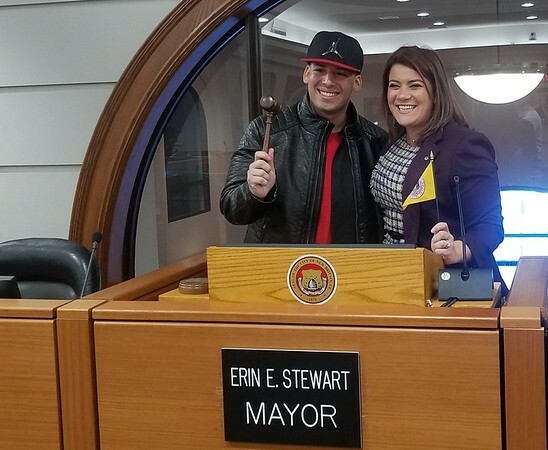 NEW BRITAIN - A Springfield actor who plays a role in a Spanish-language Netflix series, “Nicky Jam: El Ganador,” toured New Britain on Wednesday with the goal of meeting Mayor Erin Stewart and visiting some of the attractions the city offers its Latino population. Jose Arroyo, originally from Puerto Rico, has evolved from just being “someone that enjoyed music” to now portraying Daddy Yankee, a Puerto Rican singer, in the series. “Nicky Jam: El Ganador” debuted in international markets on Netflix on Nov. 30, 2018. However, the United States and Puerto Rico will have to wait to watch it on the Telemundo network, which has not announced when the series will air. 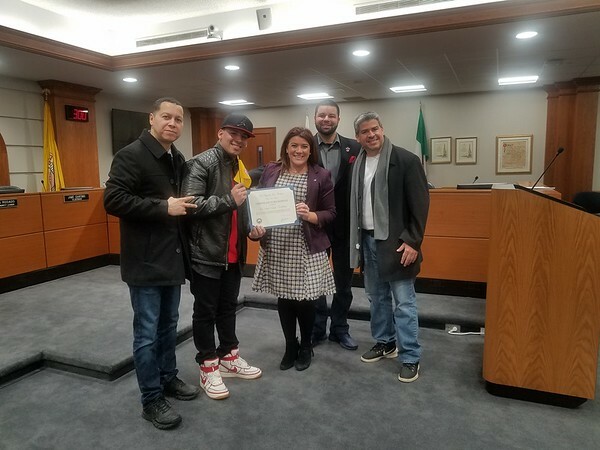 During the tour, Arroyo and a friend, Jose Morales of Waterbury, stopped at City Hall and took part in an informal meeting with Stewart, Carmelo Rodriguez, chairman of the New Britain Latino Coalition, and Alderman Kristian Rosado. Stewart showed Arroyo the city slogan and explained what it means. 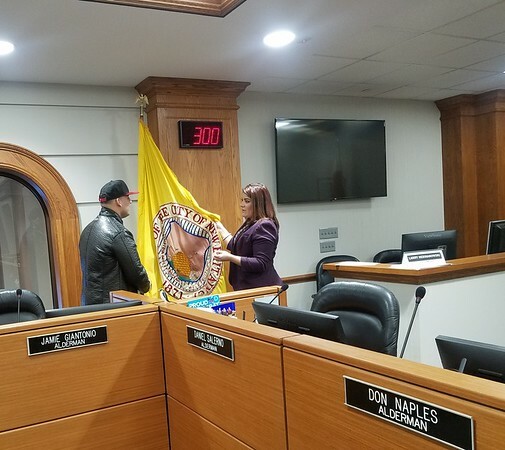 She also handed him a pin with the city seal and told him why the city thinks it is significant to give leadership roles to Latinos, as they represent 35 percent of the city’s population. Arroyo also received a certificate of recognition from Stewart. Among other places Arroyo visited were the Borinqueneers Monument, Borinquen Bakery and Barrio Latino. On Wednesday, Arroyo was also interviewed on WLAT radio (La Mega) in Hartford and by the Identidad Latina newspaper. Arroyo goes by “Diel el Dominante de Estilos,” which means he has the ability to sing various music genres. Arroyo said that growing up he always enjoyed music. One day he went to a barber shop and was told that he looked like Daddy Yankee. He said he took it as a compliment, just like Jennifer Lopez did when she played Selena on screen. The series tells the story of Nicky Jam, who is also a Spanish-language urban singer. Arroyo said he was given the role without having a background in acting. However, he is skilled in singing and rapping. The 32-year-old said it was an opportunity God had saved for him, as more than 500 people auditioned through video to compete for the role. He said other contestants invested in high-quality productions while he produced a video with his cell phone, but he was chosen because of his singing talents. Arroyo also said that, when he took the role, he left everything behind, but now recognizes that “it was worth the risk,” he said. Posted in New Britain Herald, , New Britain on Wednesday, 30 January 2019 20:23. Updated: Wednesday, 30 January 2019 20:25.